The kids are on Insta and Snapchat, and even as those are a bit dated at this point, the question for Facebook seems to be how to stay relevant. But recent revelations about how Facebook had been using customer data have led to less of a backlash than might be expected. Why? We humans tend to normalize things. What was scandalous the first time it came around, is less so over time, until we just expect it. Why are we so complacent about Facebook? Well, for starters, we live on it. How many posts are things the poster could google, but instead, feels the need to ask the town group—when is the next trash pickup, or how do they get rid of the dead squirrel in front of their house, or… the list goes on. Facebook has become part of nearly 1.5 billion peoples’ daily lives around the world, suggesting most people have become okay (complacent) about how social media might be collecting, sharing and using our information. We’ve come to expect less and less privacy, which is directly associated with the continued growth of Facebook usage—despite what happened with Cambridge Analytica. We still care about privacy. Just not as much. Maybe if what happened with Cambridge Analytica felt individually targeted and less of a mass invasion of privacy, we’d care more. But it happened to a lot us, so what’s a user to do? Keep posting and sharing seems to be the net answer. Probably even in the EU, where strong consumer concerns about privacy has the EU setting standards for the world with GDPR. Understanding consumers' psychology, such as Facebook users, is core to market research. What are they seeking to achieve? How do they express that in attitudes and actions? What barriers exist and what catalysts motivate them? 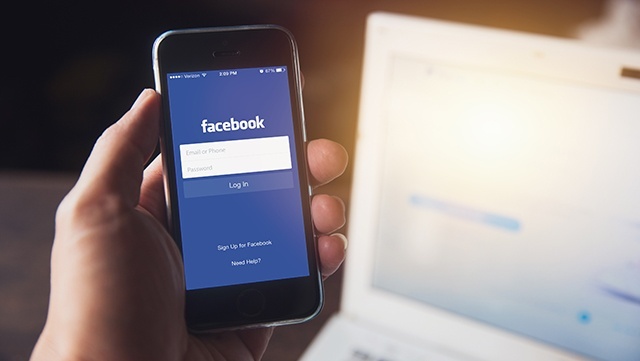 In addition to the normalization of information-sharing, users continue to use Facebook because of the functional, emotional, and identity benefits the brand provides. Facebook is a space where users can feel connected to other people (social identity), can find and share content that animates them (emotion) and is a convenient tool for things like selling your couch or getting recommendations for a reliable plumber (functional). Facebook has done an incredible job providing the right balance of these three benefits, which we know are key drivers of customer loyalty and advocacy. Knowing all we know, we still use Facebook. We’ve normalized making public details about our lives we would’ve considered “private” 10 years ago—and that doesn’t look like it’s going to change anytime soon. For most of us, the benefits Facebook provides outweigh privacy concerns. Kate is a FB user who loves to keep up with old friends and family but rarely posts. Her research background helps keep her eyes wide open (or so she thinks), to the privacy she has given away.